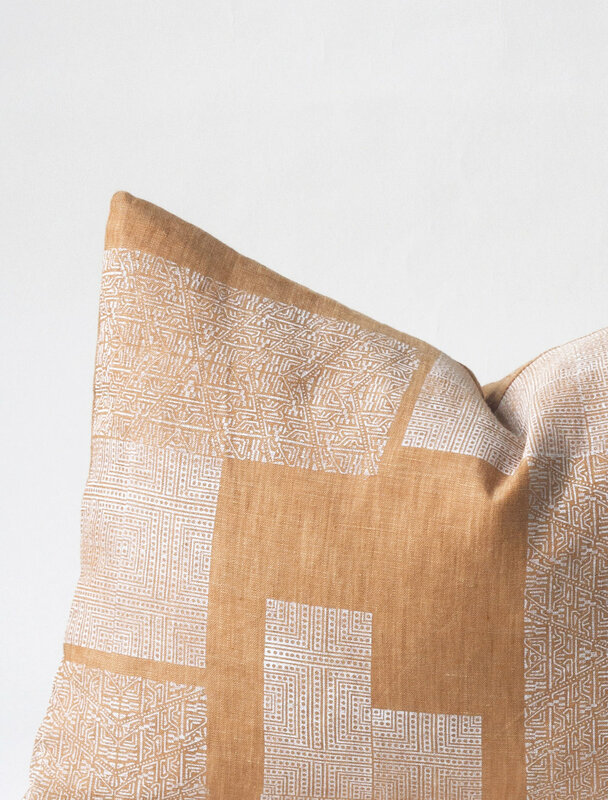 "Susan's collection aims to feel at once comforting, and inspiring and draws heavily on bohemian themes, her own artistic lifestyle, and the desire to offer design that feels intentional and special." With a strong belief that 'less is more' it is rare that I am drawn to patterns. When I was introduced to Susan Connor through my jewelry designer friend, Mary Macgill I was instantly hooked on her minimalist designs. 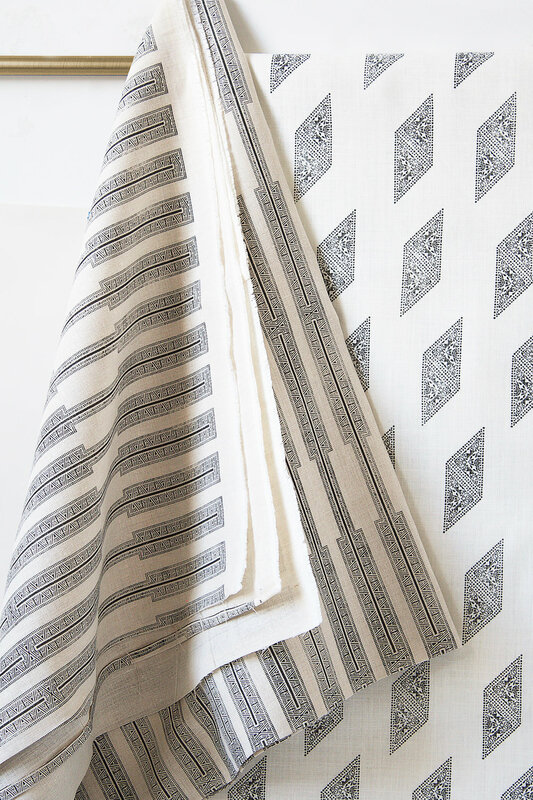 With a natural movement to warming up my spaces I figured out what I have been looking for - thoughtful, unique (and beautiful) textiles. Looking through Susan's website each pattern, color and shape of her pillows and throws soothed me for different reasons. Her designs read tranquil and relaxed yet very sophisticated. Adding warmth and texture through her designs has given me a sense of freshness I have wanted. Her palette soft and soothing adds just the right amount of texture to a space. 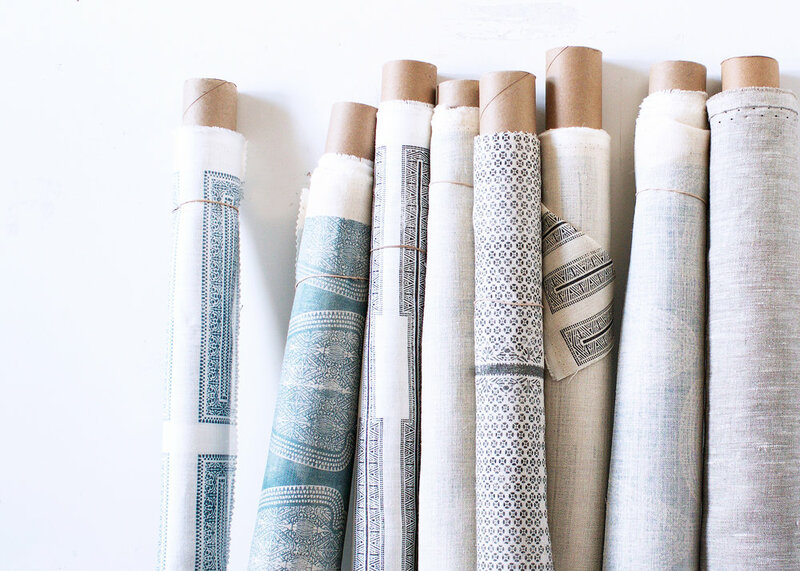 There are endless patterns and textiles that have never spoken to me, if anything they bring a sense of chaos to a room. With a relaxed and bohemian feel, each design adds to that feeling of creating a real home. What I loved even more was connecting with Susan on a personal level. We shared one of those moments of how reassuring it can be to work on something and put your heart into a design and for someone else to really get it. Design is so personal, what one person loves another will ultimately dislike but the point is to create a following with those who understand your perspective. We quickly clicked on this topic but also connected with one another's aesthetic and design philosophies. 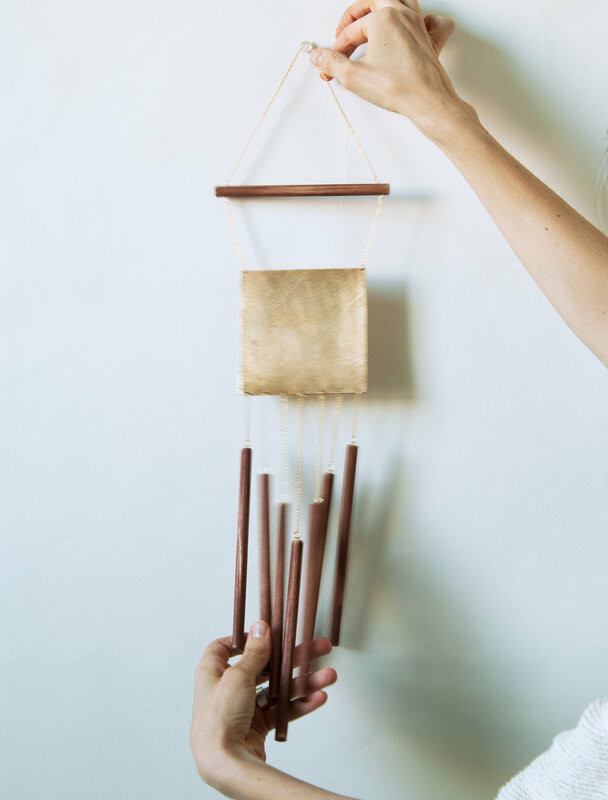 I'm so thrilled to connect with her and excited to share her Brooklyn studio and some of her beautiful creations. I am such a fan of yours! I know you are a self-taught pattern designer – what led you here? First of all, thank you Stephanie. The feeling is mutual! It means a lot to hear your kind words of praise! Well, I have a diverse background, and have done so many different types of work, but the common thread has always been creative. I have always painted and drawn, and made visual art, but along the way I also built a career in graphic design, branding and creative direction. Today, my work in pattern stems from a love of creating abstract artwork, and a fascination with communicating ideas and feelings using abstraction... shapes, textures and ideas. I also have a strong love of entrepreneurialism, so my textile business plays into all those interests. 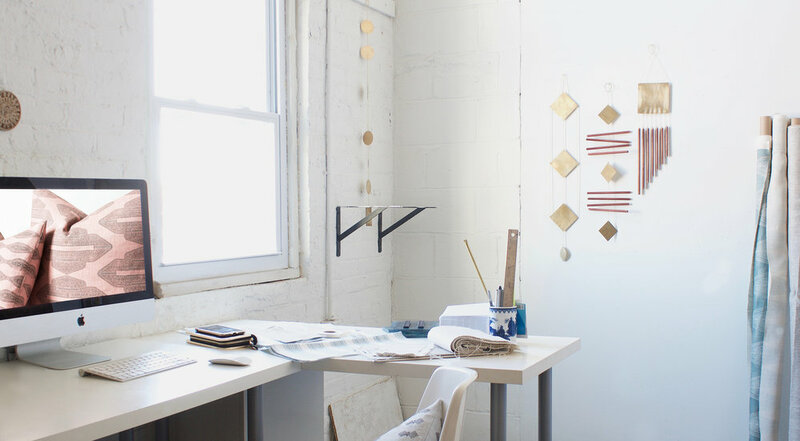 You’re located in Brooklyn; can you take us through a little tour of your studio? Yes, but it will be a very little one...because my studio is very small! We are located in Bushwick, Brooklyn, which is a really artistic neighborhood reminiscent of Venice CA in the late 90’s. Our building houses a bunch of micro businesses in smaller spaces and has been a great place to grow from. We do the best we can (my assistant and I) to keep things organized in the space. We have several work tables, one of which is my desk where much of the designing gets done. Others are used for projects and production. Natural light is hugely important to me, and we have a big, bright window. We actually take almost all of our product photography in its light! Usually, there are a number of projects in the works and so the space has different piles of material, pieces in progress, and prints in development lying here and there. How would you describe your designs to someone who’s never seen them? I would say they are grounded, detailed, and meditative. Also, I hope, beautiful. Yes, definitely very beautiful! Can you share a bit about your design process with me? I take in a lot of visual input, and often what I see during my life in NTC somehow informs new ideas that emerge, creatively. My process usually begins with a shape...I see it in my mind and know it's the one I want to explore and work with. Sometimes, I'll be standing there, waiting for the subway, and there it will be...a shape floating in my mind. I start to work with it and get to know it with sketches, maybe softening it, seeing what it can do as a pattern, seeing what it really wants to say... Finished work often involves a lot of layering and printmaking of these explorations and sometimes, making an engraving that we hand print. When things really come to life is when the graphic idea meets the material and/or color it's meant for. I ask everyone, but I love this question. Where do you draw your inspiration from? I am a polyglot in terms of inspiration and draw from so many things it's hard to say. Lately, I've been really inspired by modern dance and shapes and textures in nature, but I'm also always inspired by ancient objects, minimalist art, and fashion...it's continually changing and basically, I just go with it. I'm a sponge and when something speaks to me, I listen...no matter what it is. As a designer, I know the power of adding a beautiful and very special throw pillow or blanket. It can entirely change the mood of a room. What mood or feel do you aim to achieve with your work? I try hard to ground my work and to make sure it feels truly intentional and not arbitrary. There is so much pattern, so much design, in this world...lots to take in. My goal as a designer is to create work that speaks and stands apart for my audience. It may not speak to everybody, but it always must feel special for the people who value it and invest in it. I am not interested in making as much work as possible, I'm interested in making the best work possible. As I've gone along, I've actually found that my audience really appreciates that aspect and finds it meaningful. It's also a great challenge for me, as an artist. 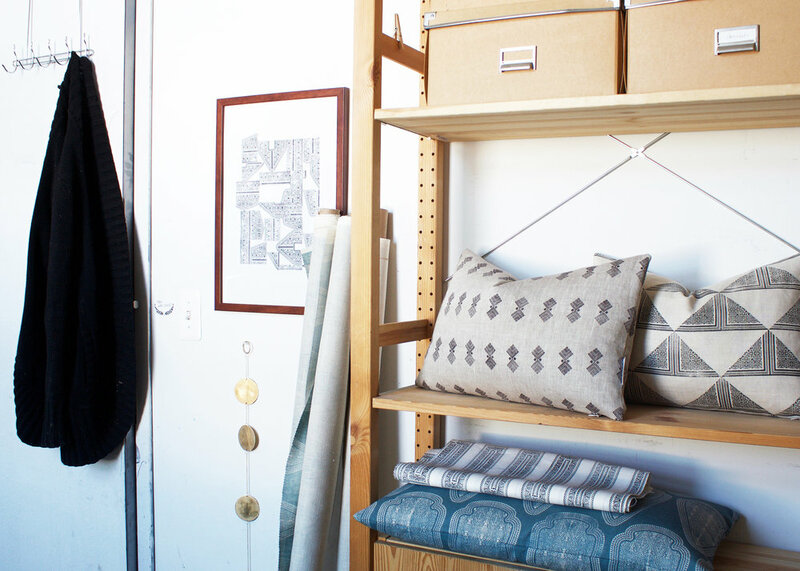 In addition to pillows, fabrics and throw blankets you have a collection of objects. Can you talk to me about these? Since we sell almost exclusively through our site and do not use showrooms, it has been really important that we highlight not just individual patterns, but the design voice as a whole. 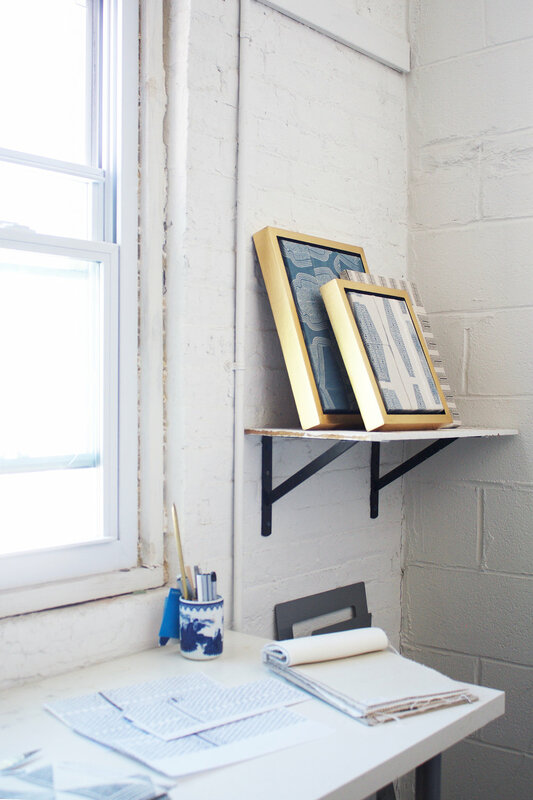 The one of a kind art objects we make offer an additional take on ideas we work with and expand on our aesthetic. They are also great to work on for me, since as an artist I need to switch it up periodically. Do you have a best-selling piece? Hm. It's probably our Inlay pillow in 14x24. That one just seems to be consistent favorite and has been since we launched it! What else do you have in store for us in the next year? We have so many things in mind to launch in the future. 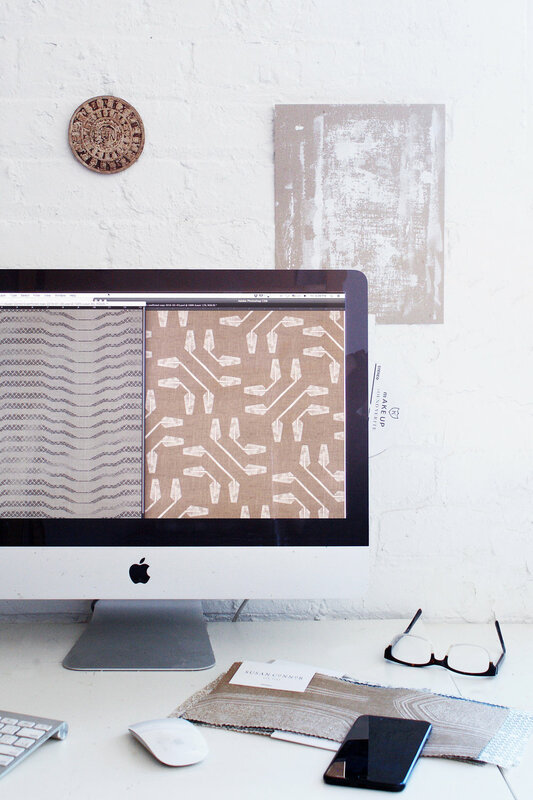 Many of them are geared towards the interior designers we work with, like wallpaper and heavyweight fabrics. I can't say for sure they will happen within a year, I am notoriously slow! But I hope so, and we are already off to a great start.